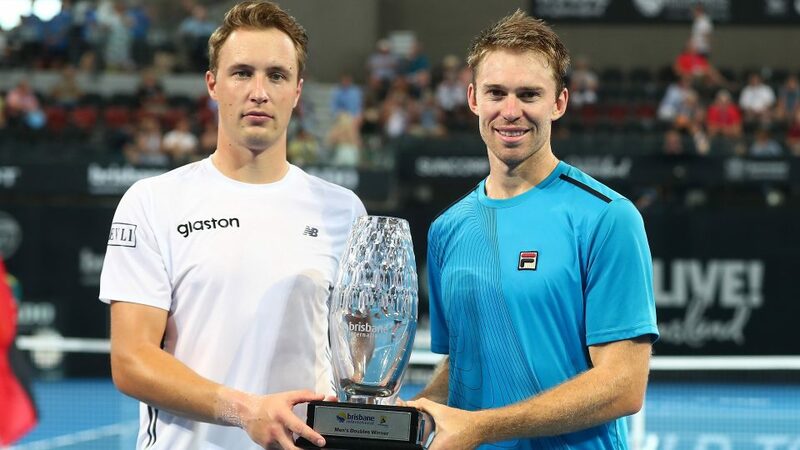 The top-seeded pairing of Australian John Peers and Finn Henri Kontinen have outplayed Argentinian pair Leonardo Mayer and Horacio Zeballos to win the Brisbane International doubles title on Sunday. It took a match tie-break to decide the championship after the Argentinian pair took the first set, the only set 29-year-old Peers and 27-year-old Kontinen lost on their way to the title. The reigning Australian Open champions, who have won 11 of their 12 finals together, bounced back with some textbook doubles play, racing home to take the match 3-6, 6-3, 10-2. “I know the guys have been struggling in the heat this week,” Peers said during the trophy presentation. The win is the third Brisbane title for Melburnian Peers, a fine start to his 2018 campaign with Kontinen. He won the title with Jamie Murray in 2015 and with Kontinen in 2016.